Above left and right. 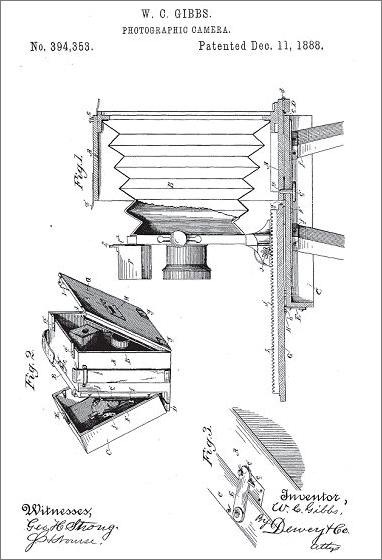 Patent pages 1 and 2 illustrate Gibbs' unique self-casing field camera design. Geared focusing running the entire length of the drop bed is shown in Figure 1, while Figure 6 illustrates an alternative focusing design with coarse sliding and fine focusing capabilities. Left. 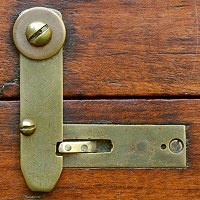 The actual camera locking latch is shown in Figure 3 of the patent. 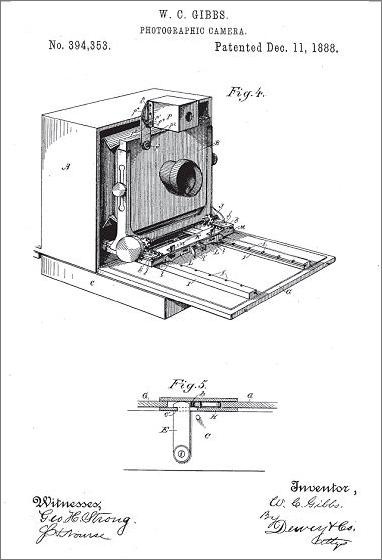 As a note, William Gibbs assigned one-half of the patent rights to photographer George W. Dornin, son of the famous gold-rush daguerreotypist George D. Dornin (1830 - 1907).